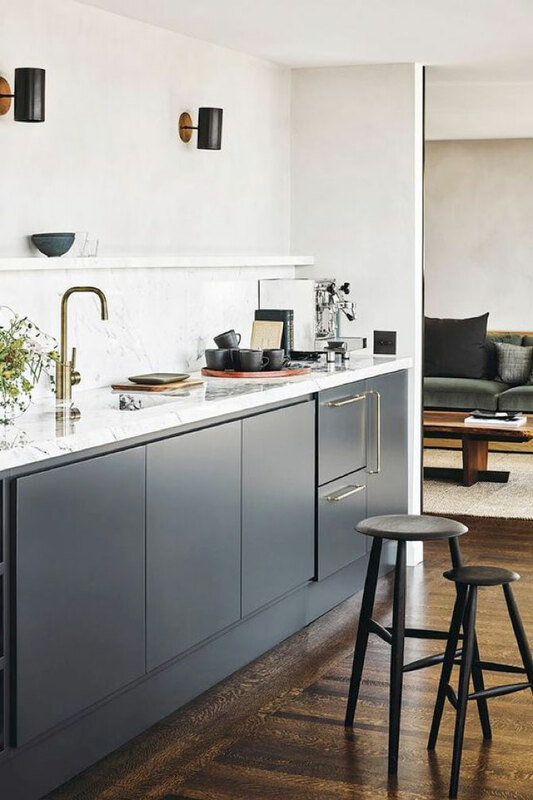 Well it’s a new year and as always, it’s at this time of year that we take note of what up and coming design trends we think are going to make a big splash in the world of kitchen design. 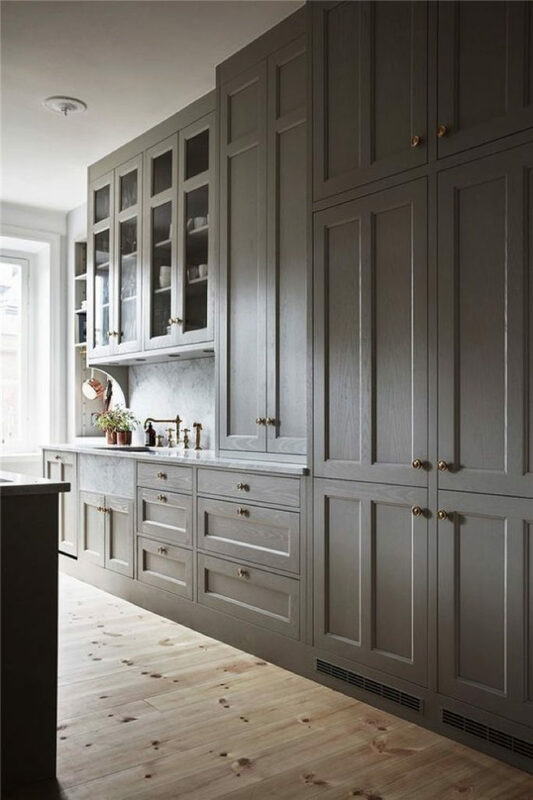 Decorating trends are often fleeting and it’s easy to incorporate a trendy color or accent into your home without much cost or commitment but in the world of millwork and cabinetry it’s quite the opposite. Decisions made during a new build or renovation for kitchens and baths stay in a home for 20+ years before they change and the investment is quite a bit higher so it’s always worth considering what trends are worth investing in rather than the ones that will only be around for a short period of time. 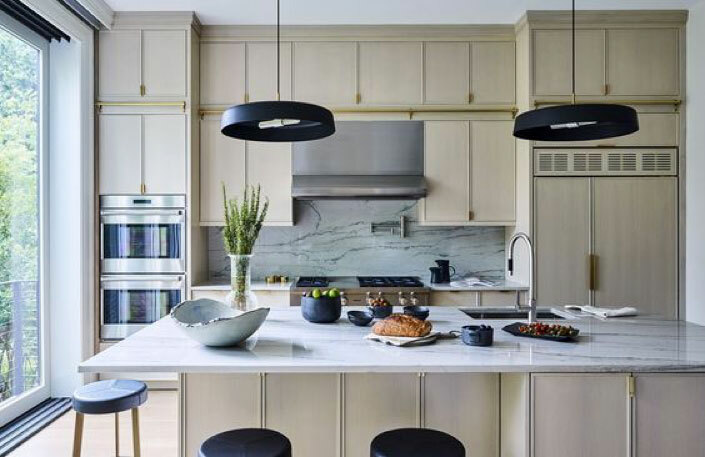 As we begin this new year we’ve pulled together a few of the kitchen trends that we think are worth investing in if you’re building a new home or renovating your kitchen this year. Are any of the below trends you’ve considered for your home? 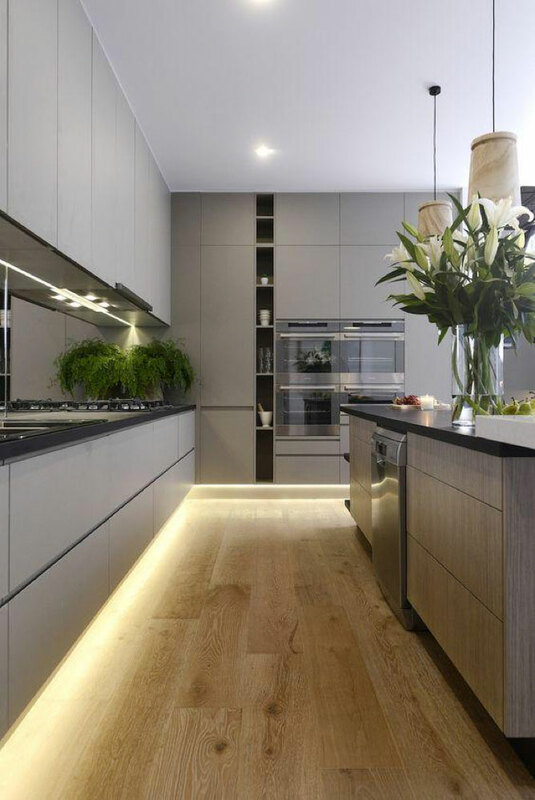 Opting for flashy finishes is always a fun design risk but fortunately for those who prefer to play it a bit more safe, natural finishes continue to stay on trend. In fact, their popularity will be increasing this year. Think natural woods (oak especially), marble and concrete to name a few. One trend that saw a rise last year that is showing no signs of stopping for this year is the concealed hood range. 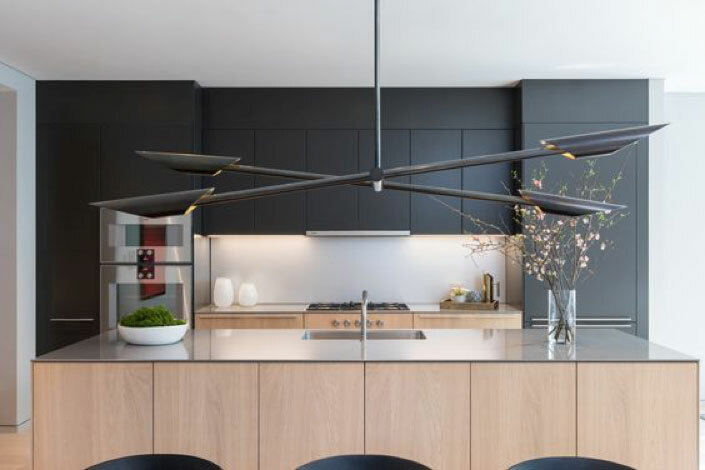 Don’t get us wrong, we love a statement hood range however if a more modern and minimalist aesthetic is your preference then you’re in luck. Drywalled hood ranges offer a scandinavian feel while hood ranges concealed with cabinetry are classic modern minimalism. This trend won’t be going away any time soon so if you don’t want a feature hood range, conceal it! It’s classic. Carrying on with the minimalism train, another lasting trend we’re seeing an increase in is the desire for minimalist hardware. 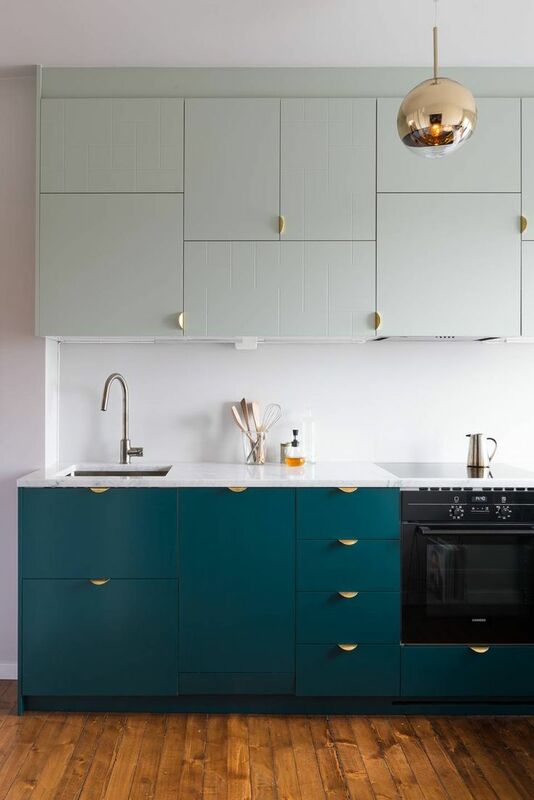 Push cabinetry and sleek minimal hardware are increasing in popularity and it’s not hard to see why. 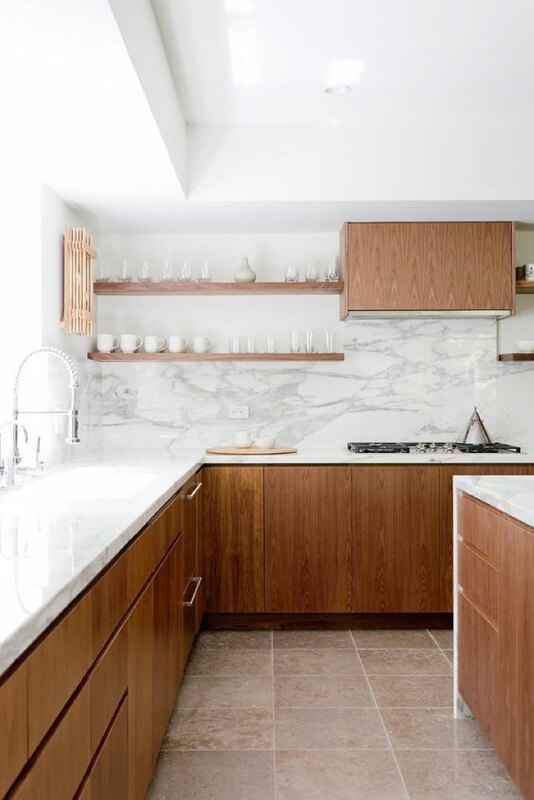 They don’t distract from your more prominent design choices (backsplash, lighting, cabinetry) and they offer an uncluttered minimalist look. In the age of the kon-marie method it seems everybody is gravitating towards minimalism and your kitchen hardware is no exception. For those somewhere in between sleek minimalism and warm contemporary we’d like to introduce the slim shaker cabinet. 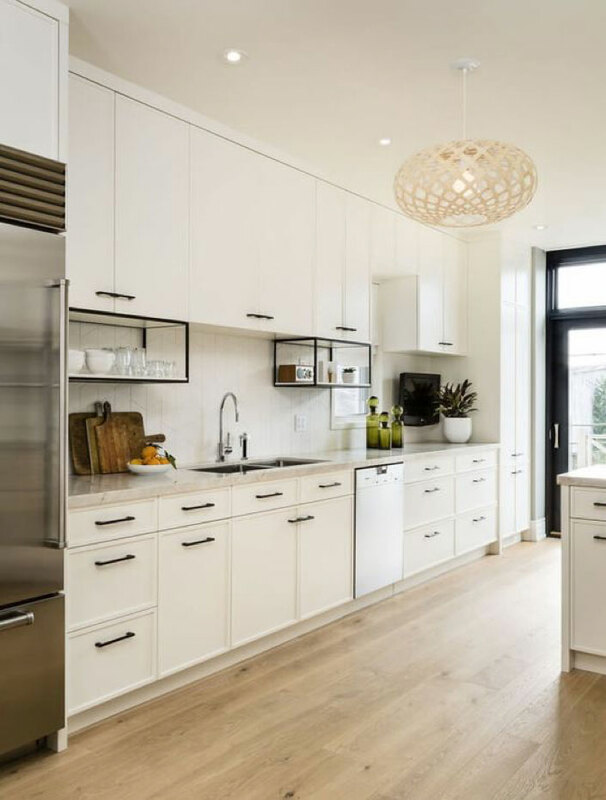 A newer trend that’s beginning to rise, slim shaker cabinetry offers a refreshing modern take on the classic shaker cabinet. We’re really excited about this trend and can’t wait to see how more families incorporate this millwork detail into their home. If you’re looking to get ahead of a trend that we think is going to continue to rise in popularity, then why not consider the modern slim shaker? The last trend we’re predicting we’ll see an increase in this year is one that is as functional as it is beautiful: storage walls. Wraparound cabinets with a countertop and uppers are being swapped out for full storage walls. 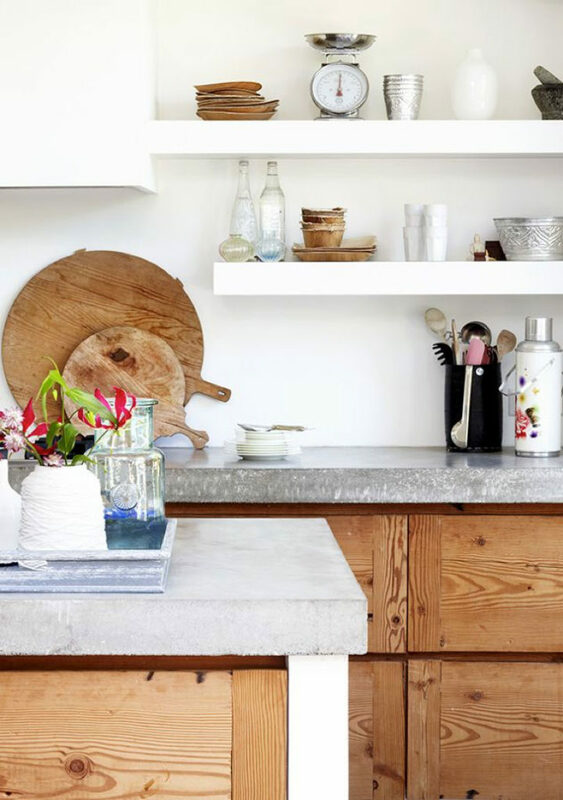 As we are gravitating towards less clutter and more minimalism, extra counter space that isn’t used for food prep is just a space for clutter to collect so rather than leave space for papers to pile up, why not consider adding more functional storage? Just take a look at these kitchens and see if you’re not convinced! 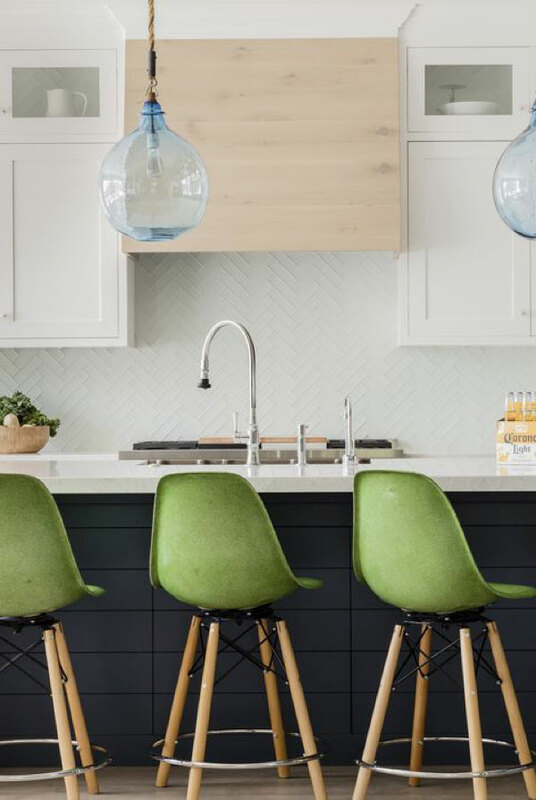 Do you agree with our kitchen trend predictions? Which is the trend you’d be most likely to incorporate into your home?